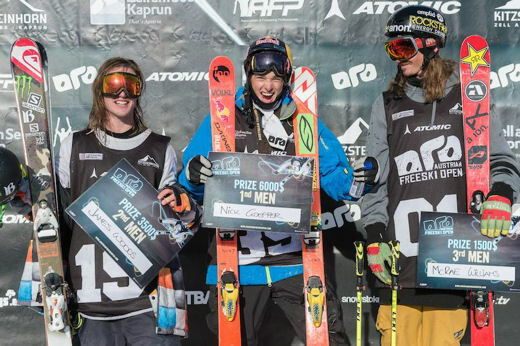 Last week team rider McRae Williams was competing against an international field of riders in Slopestyle at the Austrian Freeski Open in Kaprun, Austria. After breezing through qualifiers in third place with a score of 88.25, McRae stepped his riding up again for the finals scoring 92.00 points with a Switch Left Double Cork 1080 Japan and a Switch Right Double Cork 1080 Blunt on the two main kickers showing a lot of style in his run. 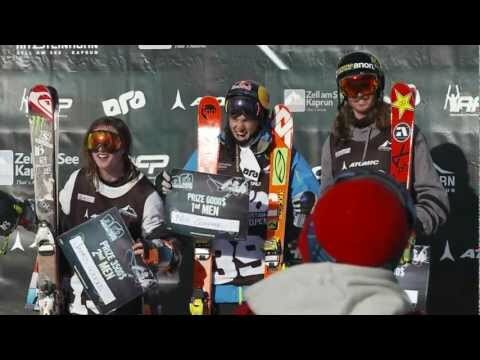 McRae landed in third spot behind Nick Goepper who is fresh off an X Games win and brit James “Woodsy” Woods who is having the season of his life. Placing ahead of big names like Gus Kenworthy, Andreas Hatveit, the Gagnier brothers and Elias Ambuehl will no doubt boost McRaes confidence levels for the remaining 12/13 contests and add to McRae’s AFP points. Congratulations McRae!! !